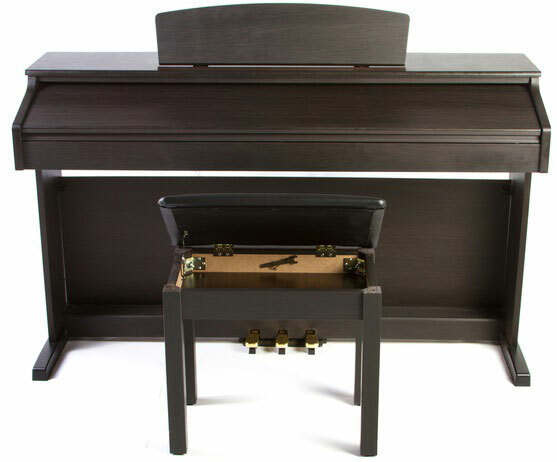 Stylish traditional piece that enhances your home, not only with its deeply expressive sound, but also with its appealing traditional piano cabinet. 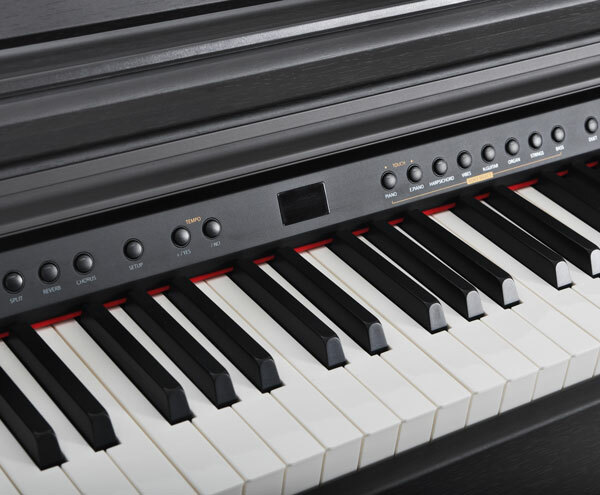 The Artesia DP-3 Plus is full featured piano including an authentic concert hall sound that will bring you and your family years of musical enjoyment. The Artesia DP-3 Plus features a beautiful Dark Rosewood Finish and sleek design with clean lines that will compliment any room décor. 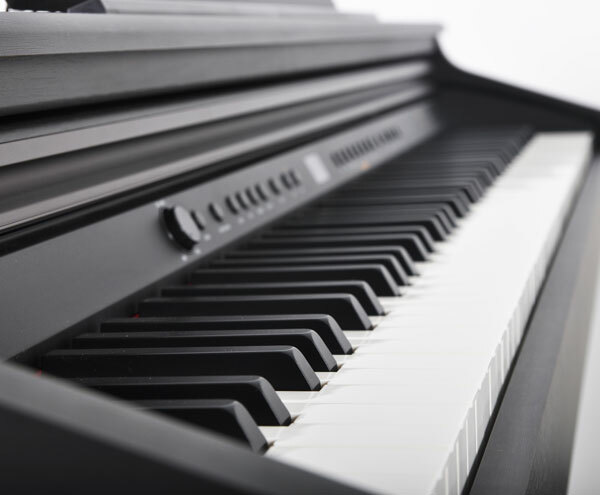 The fallboard keeps the piano keys protected and dust free when not in use. 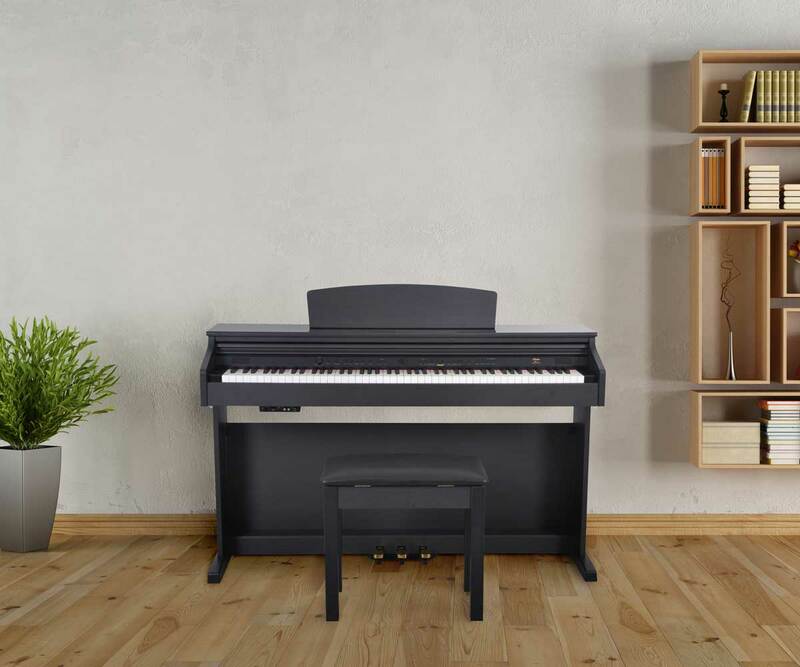 The addition of the matching furniture bench with storage adds to the complete home piano package to keep your sheet music and books neatly stored. 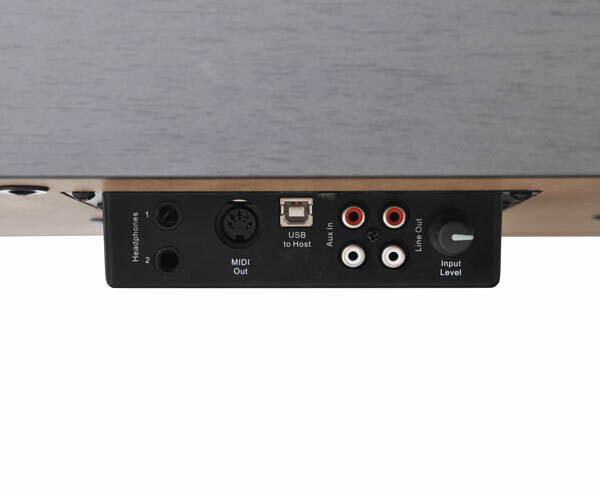 The DP-3 Plus has many connection and interface possibilities to ensure that your piano will never be out of date. 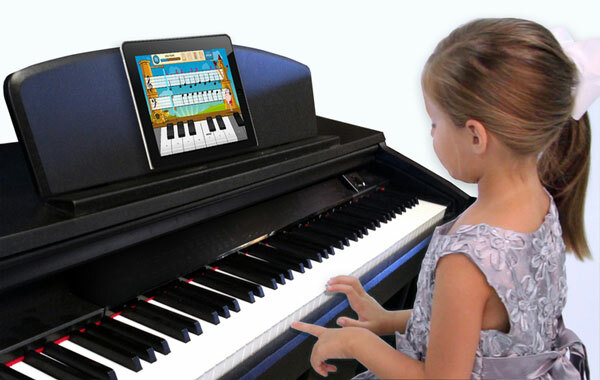 The convenient USB and MIDI Ports allow it to be connected to laptops, tablets, smartphones and other compatible devices that offer amazing options for adding additional instrument voices, multi-track recording, fantastic teaching apps and so much more. We even include a teaching app to get your started. iPads, iPhones and others are simply just plug and play. The DP-3 Plus offers 3 layer sampling with its acoustic Supra Sound sound sample processing. 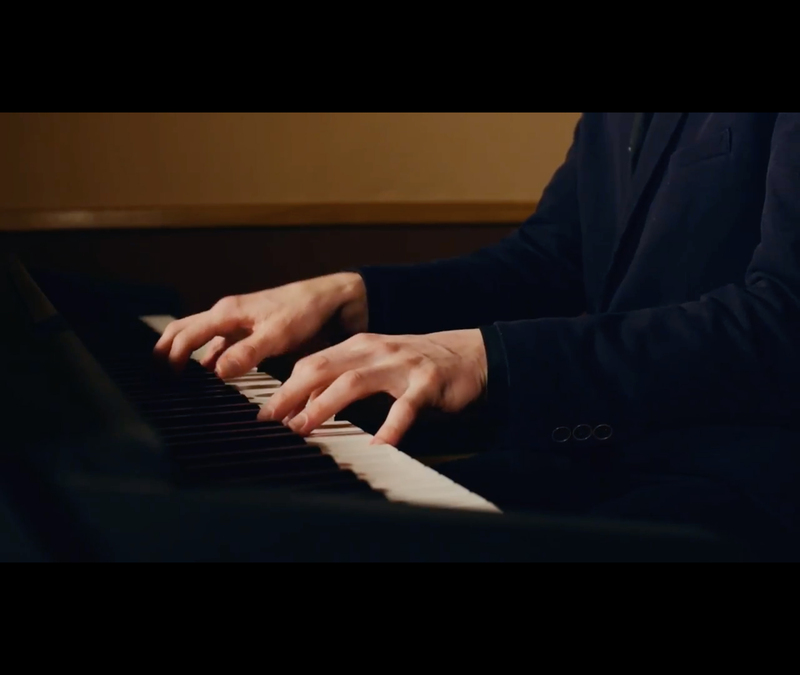 We record the actual acoustic instrument capturing its depth, expression and essence of the instrument itself. 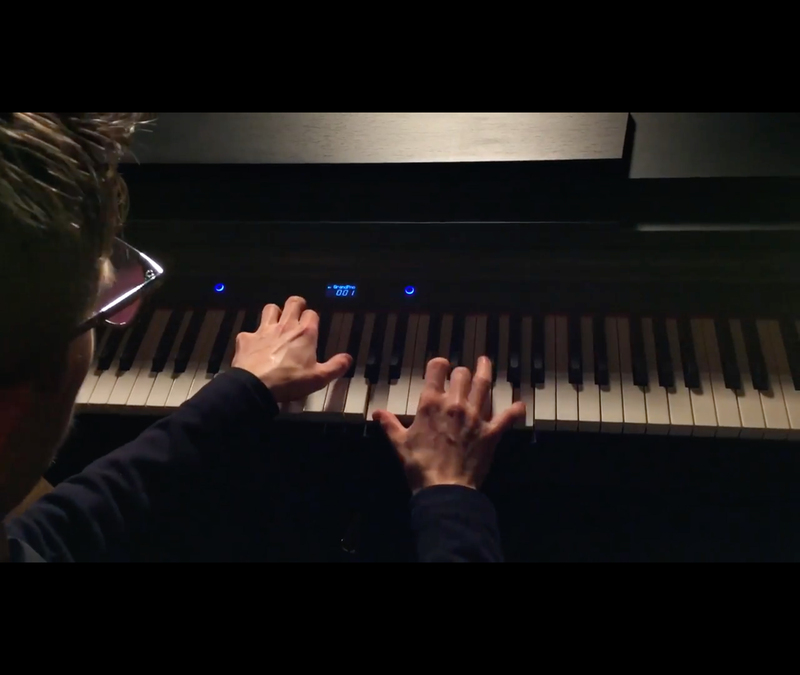 Instruments such as Grand Piano, EPiano, Harp, Vibes, NGuitar, Organ, Strings and Bass are included.